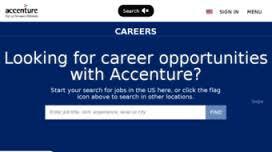 The typical Accenture recruitment process consists of three rounds. In the first round, it is primarily that the CV of your application will be evaluated, both in terms of your path but also your personality. If the firm is predominantly technical, it seeks candidates that also demonstrate their competencies outside purely technical domains. Successful applicants after the selection are invited to a second round. During these interviews the candidate will face a classical case study. The case studies at Accenture are primarily simulation exercises. That is to say that their statement is often in the form: “What would you do in a given situation? “ Nevertheless, the method to handle the case studies of strategy consulting firms applies perfectly at Accenture. The key word in this type of test is as always the structure. Finally, in the third round, the candidate follows a process that looks a lot like the second round with classic interviews mixing fit and case studies. Inquire about the company via a search on the Internet, your network, and your interactions with your career center, etc. Write your CV according to the norms and standards of consulting. Prepare your speeches and prepare your questions before the event. The process of recruitment for senior candidates is structured in the same way that I presented above: three rounds combining fit interviews and case studies. It should be noted that senior profiles are really welcome at Accenture. In a company where projects are very functional, they enrich their staffing by experienced consultants, which is indeed a real added value. The key point for senior candidates is to work their soft skills well. In essence, this is to show that you already have human and relational skills that complement your technical profile.